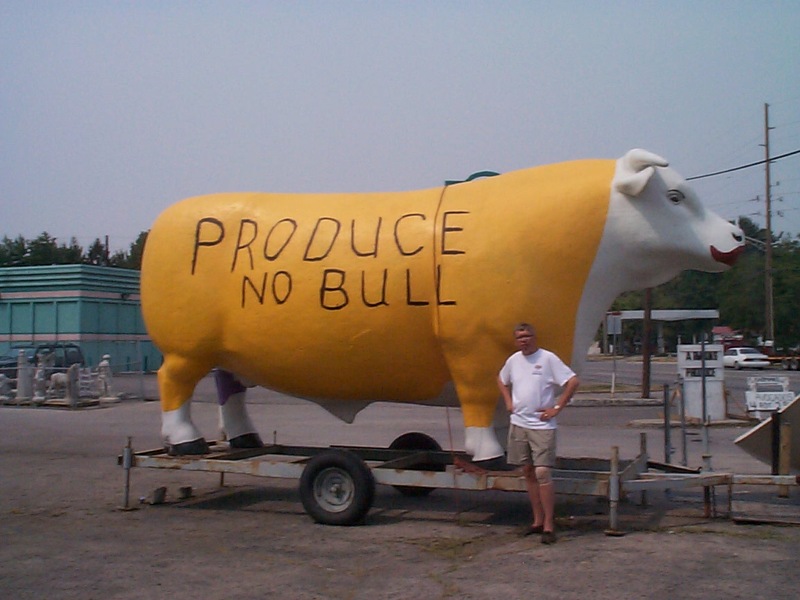 Gail’s Bull – The Home of My "Big Things"
Now here is the bull that Gail told us about. She said it is painted regularly and my guess is this one fits the bill. It was also dead-on with where Melynda has it one the her map. It stands proudly(?) outside Karmon’s Produce on SR67 between Franklin Road and Post Road. Update: I’ve been by this bull many time since and it seems to be a different color each time.